The Junior Orange Association of Ireland will celebrate the centenary of its annual Easter Tuesday demonstration later this month. 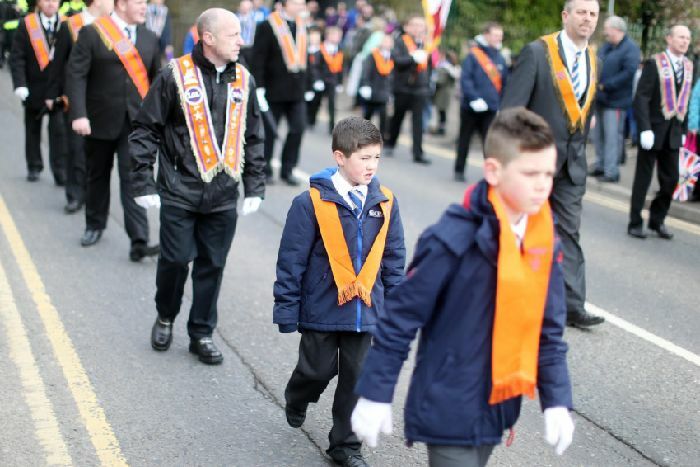 Juniors representing three Belfast districts, County Antrim junior lodge, and a number of other lodges from across Northern Ireland, are expected to take part in the yearly procession, held this year in east Belfast. As part of the celebrations on April 23, a family fun day will take place at the city’s C.S Lewis Square. According to the Association’s records, the first-ever Easter Tuesday demonstration was held in Holywood, Co Down, in 1919. Among the senior Orangemen joining with juniors to recognise the landmark occasion will be the Grand Master of the Junior Orange Association, Roy Nixon; Grand Secretary of the Grand Orange Lodge of Ireland, Rev Mervyn Gibson; County Grand Master of Belfast, Spencer Beattie; and others from English and Scottish junior lodges. The main parade, incorporating nine bands, is due to commence from the Ormeau Road Embankment at 12.30pm, proceeding along Ravenhill Road, My Lady’s Road, Cherryville Street, Woodstock Road, Beersbridge Road, Templemore Avenue, Newtownards Road and Connswater Street to C.S. Lewis Square. Activities at the venue will include a high ropes course, mobile climbing tower and various inflatables for families to enjoy. Mr Whiteside also expressed his appreciation to Pathway Adventure Activities, Connswater Community Greenway Team, St. John Ambulance NI and Belfast City Council for their help and assistance in the planning and delivery of the event. The return parade will leave C.S Lewis Square at 4pm, and proceed via Connswater Street and the Newtownards Road to Templemore Avenue.